Rich tiered bubble dress is hot this season. 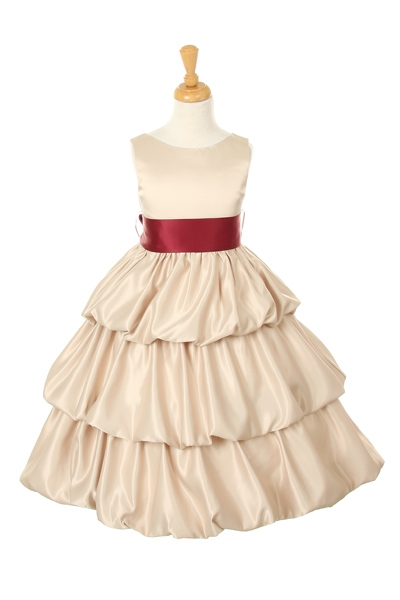 Tea length pick up layered dress with replaceable sash can be worn as a girls Christmas dress, girls party dress, flower girl dress, girl's special occasion dresses and pageant wear. 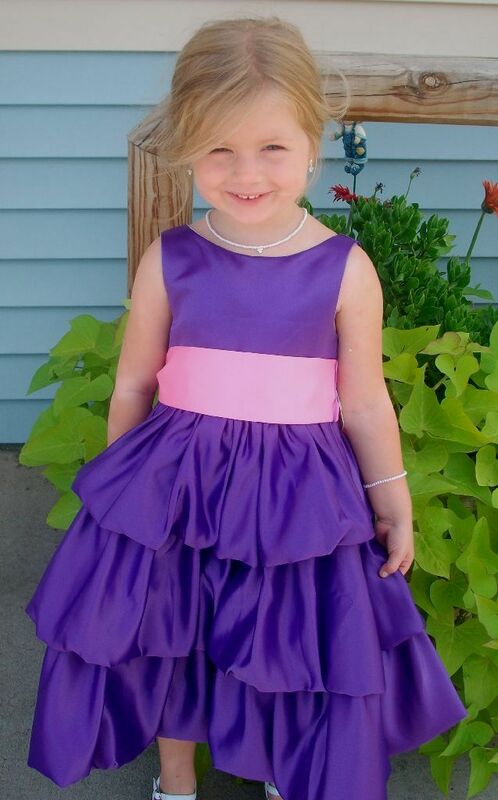 Elegant flower girl dress with colored sash. 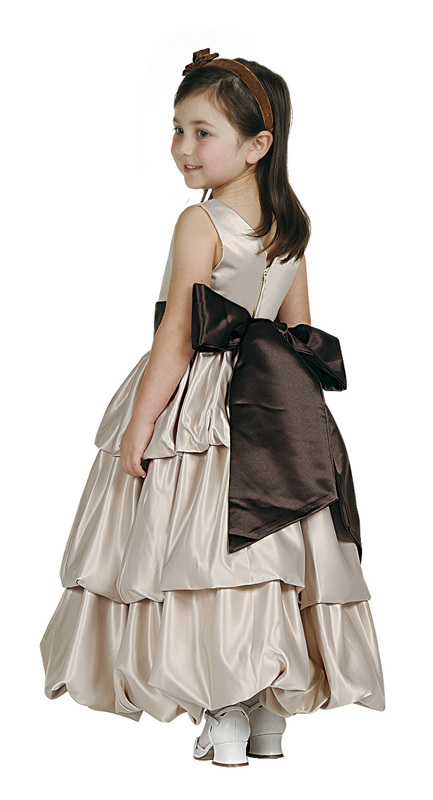 Tiered Bubble hem dress comes in 8 different colors and a selection of 10 colored sashes on the bodice. 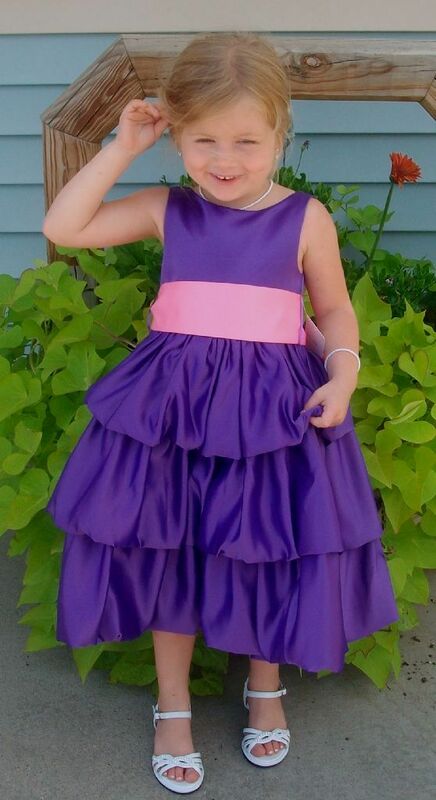 This formal dress can be coordinate in 80 different color combinations by changing the sashes and easily matching the wedding color. Sash colors can be individually chosen. Description : Bridal Dull Satin Tea length pick up layered dress with replaceable sash.